A tranquil Sunday would be a perfect Sunday. Beautiful photo. We all need that off button. Sometimes harder to find than others. Your beautiful photo gives the tranquil, yet warm feeling. Looks like a beautiful Sunday if you were doing some knitting…I had a slight case of carpel tunnel this summer so no knitting…but I just got the news that I could go back…smiling..
Love how you set that yarn up right in your wonderful. Light, cup of tea, ball of yarn, peace and quiet…good to go…enjoy Susan. What a wonderful shot! Reminds me of early morning knitting. Beautiful composition, Susan…You know I am curious as to what you are knitting…. haha…a scarf 🙂 the only thing I know how to knit! My sort of Sunday. 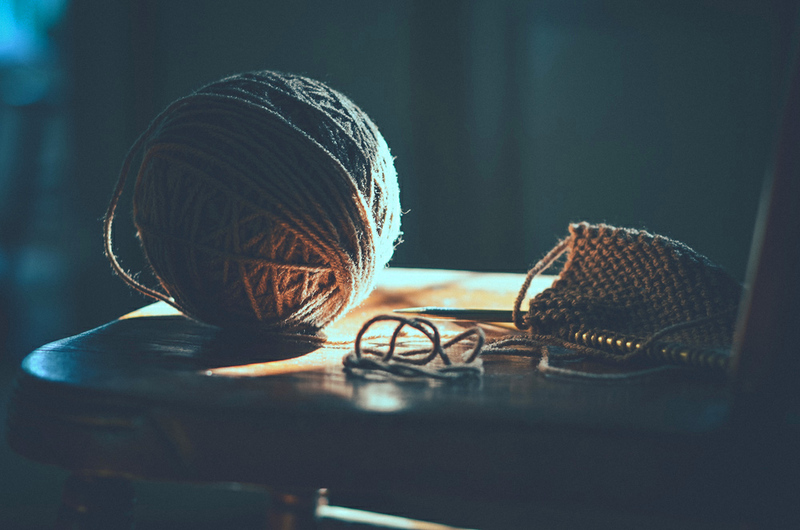 Knitting can be so peaceful too – though I tend to prefer crochet – it’s also relaxing! I love the light in your image and how the texture of the yarn comes out so well. #1, I’m jealous. I need a quiet Sunday, and your post reminds me how important quiet Sundays are. #2 your photo also reminds me of creativity – whether in writing or art. Starting from a ball of ideas, and ending up with the beginnings of …what? a scarf, a sweater, anything you want to create. Love you quiet pictures, this and other recent ones. The light is muted in fall colors and they radiate peace.